Image credit: © San Diego Zoo Global. All rights reserved. // Image location: Lone Pine Koala Sanctuary, Queensland, Australia. Discover grasslands dotted with grazing kangaroos. Come nose-to-nose with wombats. 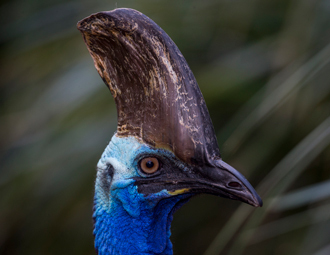 Listen to the calls of kookaburras, cockatoos, and cassowaries! San Diego Zoo Safari Park’s Walkabout Australia will immerse you in the incredible landscapes and biodiversity of Australia. The Land Down Under is a land unlike any other—and the animals that live there are just as unique. 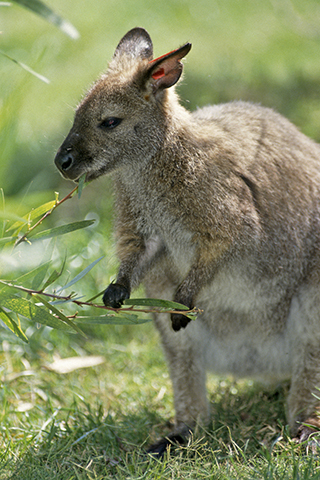 This page is your entry to fact sheets for animals of Walkabout Australia (and a few other Australian species living at the San Diego Zoo). Links to the fact sheets are listed alphabetically, by an animal's common or scientific name. Our fact sheets are prepared by San Diego Zoo Global Library staff (contact us). Also see our other recommended fact sheet sources (right). "...a collaborative, national project that aggregates biodiversity data from multiple sources and makes it freely available and usable online."